Yesterday I opted to just have a quiet day with the family. And of course I catnapped most of the morning and early afternoon :). 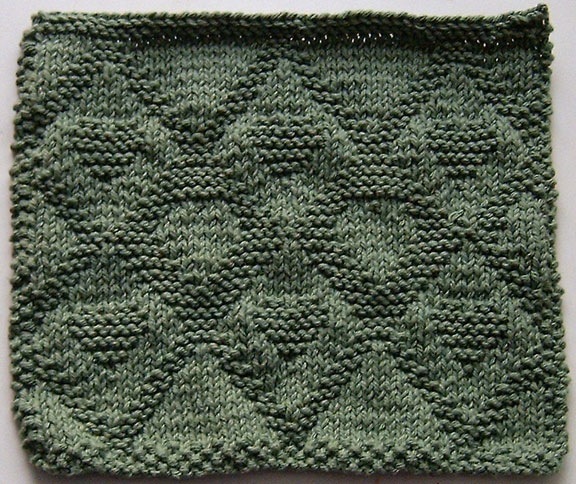 I grabbed some daylight shots of the lattice hearts, and started another and finished that too! This is the one I finished last nite and got daylight shots of today. 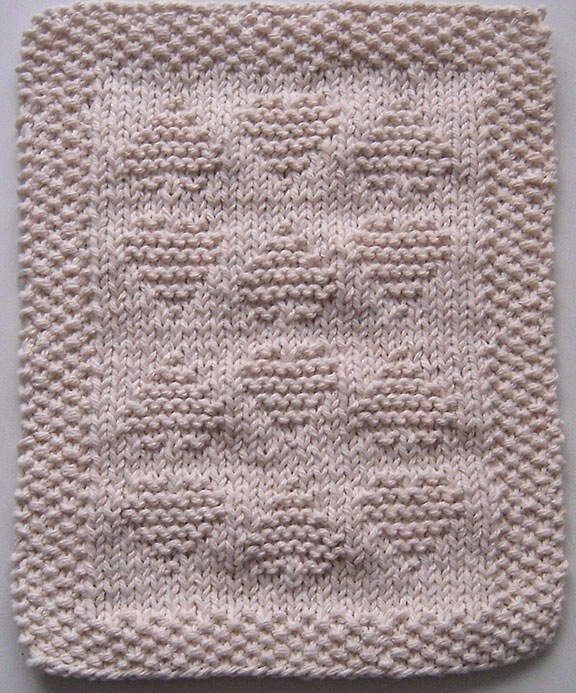 I wish it was wider than it is – could really use another column of hearts, but it is a really pretty dishcloth and just love the detail in it. Wunnerful cloths – are they just for show, or will you actually use them on dishes? I have a bunch of knitted dishcloths from a couple different friends (though not as nice as these) and I use them all the time, but I can’t get my husband to use them. Come on, put down the sponge and use the real thing! LOL! The dishcloths look great. 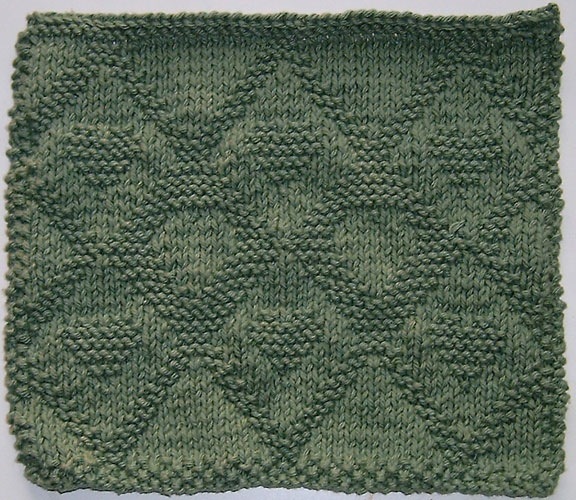 I had such plans to make washcloths and dishcloths and was learning more intricate patterns but after finishing two, I set it aside. There never seems to be enough time to do all the things I’d like to.